Independent ownership, ‘hazy’ beers, and a continuing love of hops are some of the key trends revealed in a major poll of Australia’s favourite craft beers. Now in its tenth year, the GABS Hottest 100 Aussie Craft Beers poll shines a powerful spotlight on the trends, brands and breweries shaping the booming craft beer industry. Described by Australian Brews News as “the largest and most influential people’s choice poll in the land,” the 2017 edition saw tens of thousands of craft beer lovers vote for their five favourite craft beers of the year, then celebrate the live countdown on Saturday 27 January at more than 45 events held around the country. 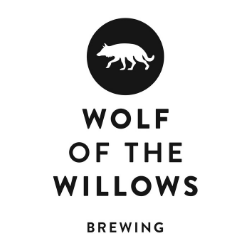 In a year punctuated by the acquisitions of craft darlings 4 Pines (NSW) and Pirate Life (SA) to the world’s largest brewery AB InBev, and Feral Brewing (WA) to Coca-Cola Amatil, the Hottest 100 results indicate that ownership is of importance to craft beer consumers, with beers from each of those breweries slipping in rankings from the previous year. Performing strongest amongst the non-independent breweries was Adelaide’s Pirate Life, with seven beers making the list, including it’s ‘Mosaic’ IPA (India Pale Ale), brewed for the first time in 2017, in fifth position. Overall, 71% of the listed beers, including nine of the top 10, were produced by independently owned breweries. 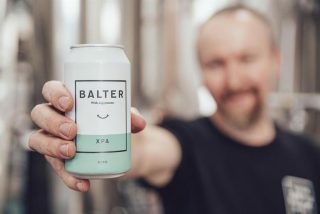 Leading the the charge was Gold Coast brewery Balter with their hugely popular ‘XPA’ (Extra Pale Ale). Part-owned by champion surfers Mick Fanning, Joel Parkinson, Josh Kerr and Bede Durbidge, Balter have made significant waves in the beer world in just under two years of operation. Indeed, every one of their five nominated beers made the list, and they were the only brewery to place twice in the top 10. Second place went to Byron Bay based Stone & Wood’s perennial favourite ‘Pacific Ale’, a consistent top three beer since the 2010 poll, and three-time winner. Rounding out the podium was ‘Crankshaft’ from BentSpoke Brewing Co in Canberra. The American-style IPA topped an impressive showing from Canberra brewers, with Capital Brewing and Pact Beer also featuring prominently. One of the biggest movers was Victoria’s KAIJU! with it’s Tropical Pale ‘KRUSH!’, breaking into tenth position from 55th place in the 2016 poll. An impressive 24 new beers debuted on the list, including seven beers in the hugely popular New England, or ‘hazy’ IPA style. Chief amongst these was ‘Jedi Juice’ from Melbourne’s Hop Nation. First brewed as a ‘Festival Beer’ for GABS Beer, Cider & Food Fest in 2017, the beer leads one of the most popular beer styles of recent years, particularly in Victoria where 3 Ravens (‘Juicy’), Mountain Goat (‘Back To The Brewer’) and CoConspirators (‘The Matriarch’) also drew significant votes. The New England IPA seems to be just another extension of Australia’s love of hoppy beers, which shows no sign of slowing down. 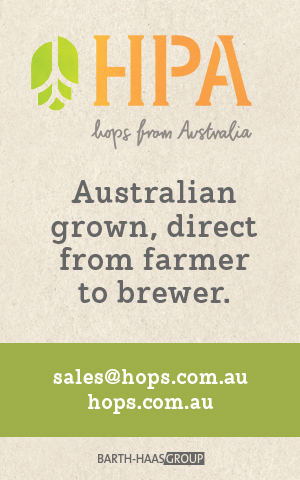 Across the range of beers in the list, 75% were hop-driven styles – such as Pale Ale, IPA, or the higher-ABV Double IPA – up from 68% in the previous year. Some of the outliers to this trend include Bad Shepherd (VIC), with their ‘Hazelnut Brown Ale’, and Wagga Wagga’s Thirsty Crow, whose ‘Vanilla Milk Stout’ has made the Hottest 100 since 2011. Coopers (SA) also returned to the list with their iconic ‘Sparkling Ale’, after opting not to include their beers in last year’s poll. Created by the team behind GABS Beer, Cider & Food Fest, The Local Taphouse, and Stomping Ground Brewing Co (the latter being ineligible for votes), the GABS Hottest 100 Aussie Craft Beers poll is a proven sales driver for the craft beer industry, with many listed breweries enjoying a significant boost in brand awareness and sales, as retailers, bars and beer fans use the results when deciding what to buy. “We’re thrilled with this year’s list, which is possibly one of the most exciting yet. New breweries, new styles and importantly, new winners all go to illustrate what an exciting time it is in the craft beer space”. In addition to the main Hottest 100 list, the organisers have also announced sublists for the Hottest 100 NEW Craft Beers featuring those beers released for the first time in 2017, and Hottest 100 INDIE Craft Beers (beers released by independently owned breweries). Please get it in touch if you would like these lists.